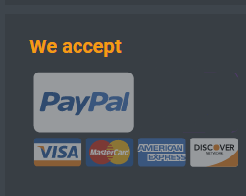 BY PLACING AN ORDER ON THIS WEBSITE YOU ACKNOWLEDGE HAVING READ, UNDERSTOOD, AND AGREED TO ALL THESE TERMS AND CONDITIONS. BY PLACING AN ORDER AND / OR PAYMENT, YOU ALSO AGREE TO BE LEGALLY BOUND BY THESE TERMS AND CONDITIONS, WHICH FORM THE ENTIRE AGREEMENT BETWEEN YOU AND FREELANCEGLOBAL LIMITED. “Company”, “We” or “Our” mean and refer to FreelanceGlobal Limited, a company registered under the laws of the Cyprus. By placing the order and / or payment, you are purchasing the product strictly for your personal, non-commercial, use. All our products are drafted by freelance experts who transfer all rights and ownership of the products to the company. All products are non-refundable and come with no warranties, expressed or implied. Additional detailed information about our services can be found on our How It Works and Our Services pages. Please note, it is your obligation to read these Terms and Conditions and the How It Works and Our Services, prior to submitting your order and / or payment to our website. All products this company offers are non-refundable, and come with no warranties, expressed or implied. No refund can be granted to the customer under any circumstances once the order is completed, unless specifically stated herein. In certain cases, the company may provide a refund at its own discretion. It is not acceptable for customers to put their own name on the product we deliver. The custom assignments are provided by FreelanceGlobal Limited for reference purposes only and cannot be used as a substitute for your own work. It can only be used as an example from which you can learn how to complete your own assignment correctly. 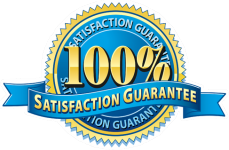 Entire parts of the product provided by our company may be used as an example in the customer’s original piece of writing only if properly cited. Please check your school’s definition of plagiarism for acceptable use of source material. Information we collect as you browse our website: The statistical data our webserver collects as you browse the website includes information about your IP address, the type of browser you are using, your operating system, and access times. Sometimes, cookies can be used to customize the content of our webpages, based on your browser type, IP address, or other anonymous information. About cookies: Cookies are text files used to identify a computer to a server. Cookies identify which computer is being used, not a specific individual user. This tool is used by many different websites to monitor visitor traffic. Cookies gather information about areas of a website that users visit, and the time spent on a particular page. To display the date and time in accordance with the user’s timezone. To improve user experience and make website navigation more convenient. Cookies may also be used by some exterior services that function on TermPaperChampions.com, including Google Analytics, Google Plus, Facebook, Twitter, and PayPal. However, TermPaperChampions.com does NOT distribute any user’s personal information to third parties, provided they are not involved in the process of placing, completing, or delivering an order. Users can modify browser settings to accept all cookies to receive a notification every time a cookie is used, or not to receive cookies at all. In case of the last option, the user might not be able to use some personalized services. We may, at times, choose to show your information to chosen third parties to give you data about goods and services and we or they may contact you by mail. As an existing customer, we will contact you only by electronic means, and only about goods and services that are associated with your activity on our site. Even if you are a new customer, we (or selected third parties) will contact you only by electronic means if you select us to do so. If you do not consent to the use of your data to this effect, please go to your profile and change your settings to reflect your decision. If you have allowed us to use your data in the past, but no longer want to, please contact us via “Support” section in your account. We disclose only aggregate information about our users to our advertisers (for example, we may tell them that 456 women aged under 29 have clicked on their advertisement on a certain day). We may also employ aggregate information to aid advertisers to reach their target audience. At times, we may supply your personal information to companies that provide services to us to aid us in our business activities. The authorization by these companies to use your information is only to work on the services they provide. Besides what is stated above, we will not sell, distribute, or disclose your information without your consent unless required or permitted by law, which are rather extreme and rare cases. Transferring data to third parties: In the event that we or our assets are acquired by a third party, the information held by us in regard to our customers may be one of the transferred assets. You will be informed by email or by way of a notice about any changes in ownership or uses of your personal information on our website. Also, you will be alerted as to the choices you have to secure your information. Security: A set of appropriate security measures is used to make sure you are protected against loss, misuse, or alteration of information we collect from you. Disclosures Prohibited: Use of information acquired from employers or employees pursuant to this article shall be for the exclusive use and information of the commissioner in the discharge of his or her duties hereunder. This information shall not be open to the public, nor be used in any court in any action or proceeding pending therein, unless the commissioner is a party to such action or proceeding, notwithstanding any other provisions of law. Such information insofar as it is material to the making and determination of a claim for benefits shall be available to the parties affected and, at the commissioner’s discretion, may be made available to the parties affected in connection with effecting placement. Access to information: You can ask to be provided with any personal information that TermPaperChampions.com holds about you. You can also ask for any inaccuracies to be corrected to make sure the personal information we hold about you is always up-to-date and accurate. Such information requests are subject to a separate charge of $50. Upon such a request of yours, we provide you with access to all information we maintain about you, subject to the conditions of the Data Protection Act 1998. You may request this service by contacting our support team at any time. Last updated: February 22, 2017.